Apple (AAPL) has surpassed Google since 2014 to become the most valuable brand in the world. The Apple brand has increased in value by 67% over the past year as the company has continued to promote its products globally, according to an annual ranking by BrandZ. Apple has performed particularly well in China, where it has been taking market share from competitors such as Samsung, Xiaomi and Huawei. 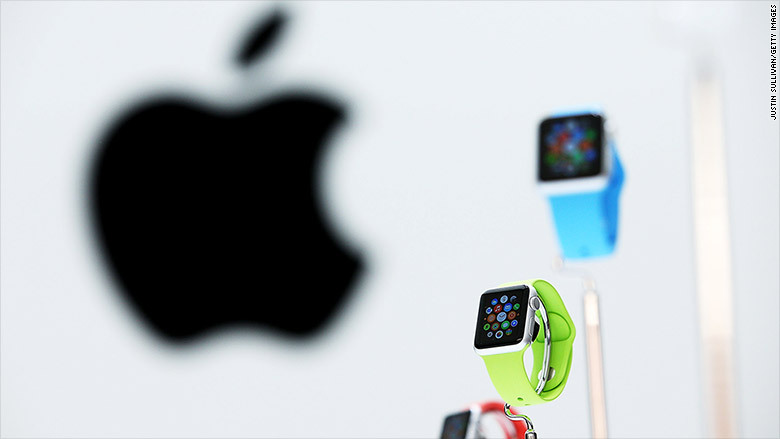 Plus, the Apple Watch -- the company's first new consumer product in five years -- has created a ton of buzz around the world. Methodology: This 2015 BrandZ ranking of the most valuable brands in the world was carried out by brand consultancy Millward Brown, which is part of the advertising firm WPP. It calculates brand value by using in-depth financial data alongside interviews with over three million consumers from around the world.